This semi-detached house on the east side of Hamilton Terrace was built at the beginning of the nineteenth century, evidence suggesting it was being built in 1832. At that time it was numbered 14, as the developing houses were numbered on the east side as far north to Hall Road and then back to St Johns Wood Road on the west side. The Rate Book for 1834 shows that it was owned by Mr Telfour but occupied by Henry Charles Dakeyne with his wife Mary, three children and two servants. Henry Dakeyne was a descendant of a very ancient family of Dakeyne of Biggin Grange in Derbyshire. He was a director of the South-Eastern, Brighton, Lewes and Newhaven Railway. By the time of the 1851 Census the house was occupied by James Carpenter, aged 84, a retired bookseller with his wife Elizabeth and two housemaids. His shop had been at 14 Old Bond Street and it dealt largely with art publications. He was acquainted with many artists and engravers to whom he gave commissions for illustrating books. The 1861 census tells us that the house was occupied by Laura Gairdner, aged 64, born in US, and sister Mary Gairdner, (48) who were the children of Jane Gairdner. She was the widow of Edwin, an American loyalist from Charleston, S Carolina, and according to the 1871 Census the Gairdner sisters were joined by their brother Gordon aged 67, a superannuated chief clerk. From 1879 to 1891 the house was occupied by Mary Ann Hart , a widow aged 61 whose income came from house property, and her married son William Hart (aged 33) and wife Caroline and daughter Hilde Caroline (aged 5). In 1891 Mary Ann Hart had with her, her daughter Eliza (46) who was married to Frederick Dyer, an architect, plus their son William. The Willott family occupied the house from 1899 to 1945. Solomon Willott, a widower in his eighties, “of independent means”, lived there with his son Henry and wife Elizabeth until Henry died in the 1930s but his wife stayed on in the house until the end of WW2. In 1946 Miss E Arnold shared the house with Winifred Ashton. Winifred Ashton ( 1888 – 1965) was an English novelist and playwright, writing under the pseudonym of Clemence Dane. which she took from the church, St Clement Danes on the Strand, London. She wrote more than 30 plays and 16 novels. 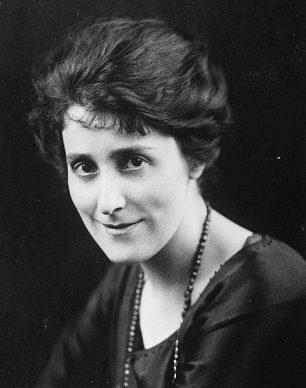 Her first novel Regiment of Women was written in 1917, a study of life in a girls’ school, which was an almost instant success. Her next novel, Legend, was also successful, and several reviewers suggested that it should be turned into a play. She followed their advice, and the play, now called A Bill of Divorcement, had a successful run on Broadway and the London stage with Katherine Cornell, and was made into a film several times, most notably with Katherine Hepburn and John Barrymore (1932). Called “a gallant old girl” by Noel Coward, she is believed to be the model for Madame Arcati in Coward’s Blithe Spirit. She painted a portrait and created a bust of Noel Coward (before 1939), now in the National Portrait Gallery, and created a bronze bust of Ivor Novello in The Happy Hypocrite (1936) which is now in the V & A Museum. She lived at 34 Hamilton Terrace from 1946 to 1957. 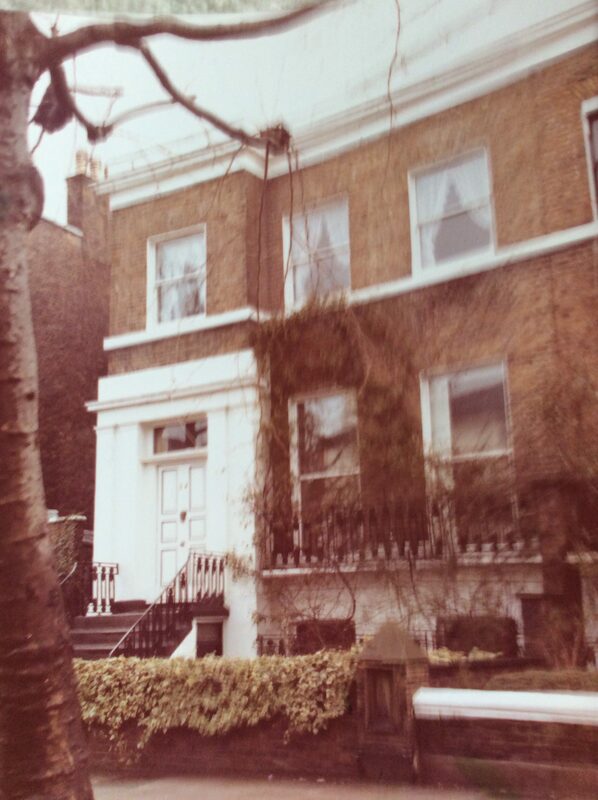 From 1957 until 1965 the house was the home of Robert and Kate Hawkings. 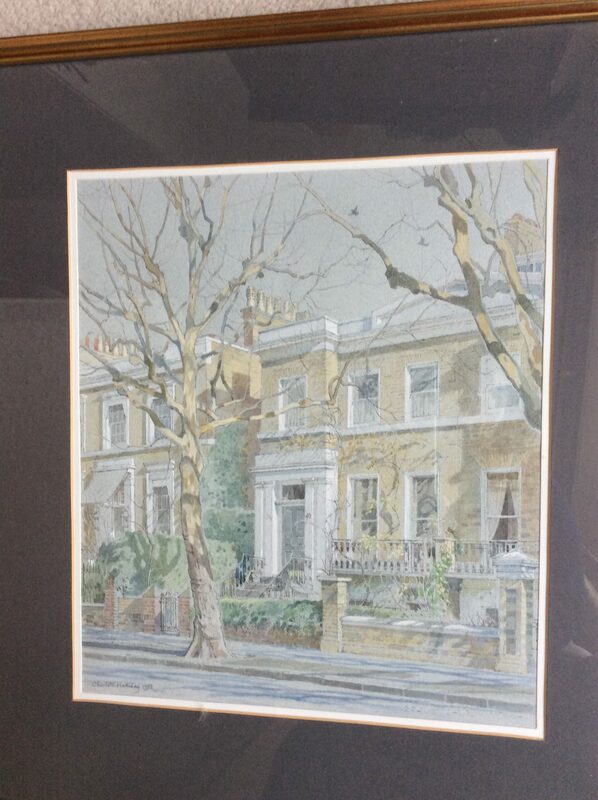 Robert was the Managing Director of Phillips, the auctioneers, and the house was full of beautiful furniture. Kathleen was a keen gardener and laid out the rear garden which still exists today. The following extract is from their reminiscences published in 1998. “It was a pretty Georgian house in a very wide road close to Lord’s Cricket Ground, with little ironwork railings to the front windows, covered by an Albertine rose, and it had a walled back garden nearly 100 feet long”. 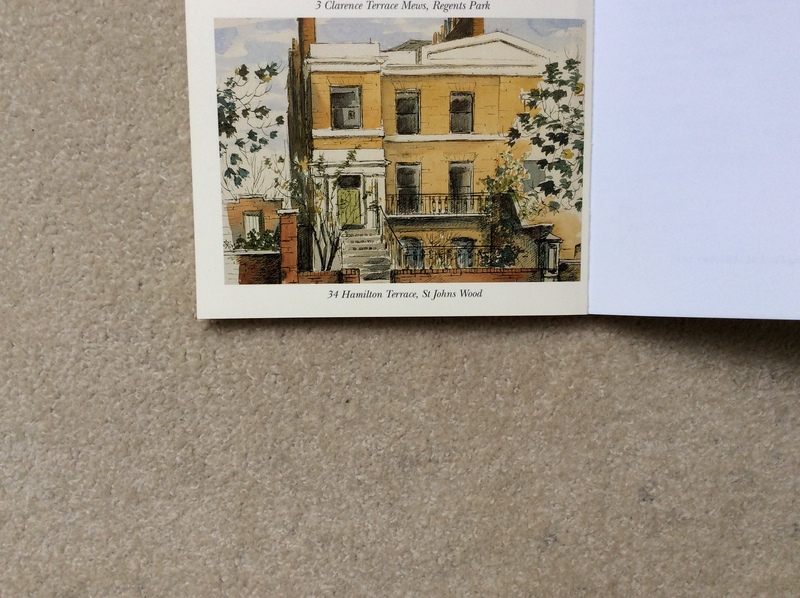 This little book contains a charming watercolour of the house. When Robert retired to the west country, the house was occupied for six years by Eric de Peyer, a teacher of the Alexander Technique. In 1971, Henry Ernest Moquette, a retired banker and his wife moved in and stayed for seven years before moving to the Isle of Wight. They were followed in 1978 by Paul Strang, a solicitor, and his wife Jeanne who are there still. Paul was Chairman of the Board of Trinity College of Music (1987-2005) also chairman of various musical charities including the Kathleen Ferrier Memorial Award and the Gerald Moore Award. He is currently writing on French wines. This page was added on 13/11/2017.